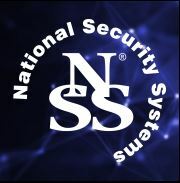 Since forming in 1995, we have quickly established ourselves as one of London’s leading security systems providers thanks to our ability to deliver first-class security solutions and a friendly, personalised service. While our technical expertise and knowledge of security principles means we can offer state-of-the-art, reliable solutions, it is our dedication to customer care that sets us apart from the rest. We appreciate that you need to get the best value for your investment and need a security system that is effective and reliable, and can be installed and operated with minimum disruption. That’s why, no matter what type of alarm system or security system you need, we will always do everything we can to ensure your security system provides the level of security your London property requires. We will listen to your concerns, conduct a thorough and FREE security survey of your property and design a security system that meets your specific needs and budget to help you choose the security systems and products alarm systems that provide the level of security you need and offer the best value. We will use our expertise to make sure you make the best investment for your requirements - the most suitable security solution is not always the most expensive. We can provide you with every type of security system and product you may need, including burglar alarms, CCTV, and access control and door entry systems. All of our systems are connected to our central monitoring station, which is manned 24 hours a day, 365 days a year. Make sure your security system is installed as soon as you need it. We can even respond to London clients in emergencies – in some cases, we have been able to install an alarm system within hours.